This is one of the easiest meals to make. If you're into fast, easy, and delicious...and who isn't?!?! ?...then you seriously need to consider adding this to your menu!! First up, grab a large stock pot or dutch oven. Let's heat the olive oil over medium/high heat. Add the garlic and onion and cook for about 2-3 minutes or until the onions are a little translucent. Now add the broth, diced tomatoes, spices, and bay leaves. Whisk the mixture and then toss in the tortellini making sure to stir well to coat. You can season with salt and pepper if you so desire. 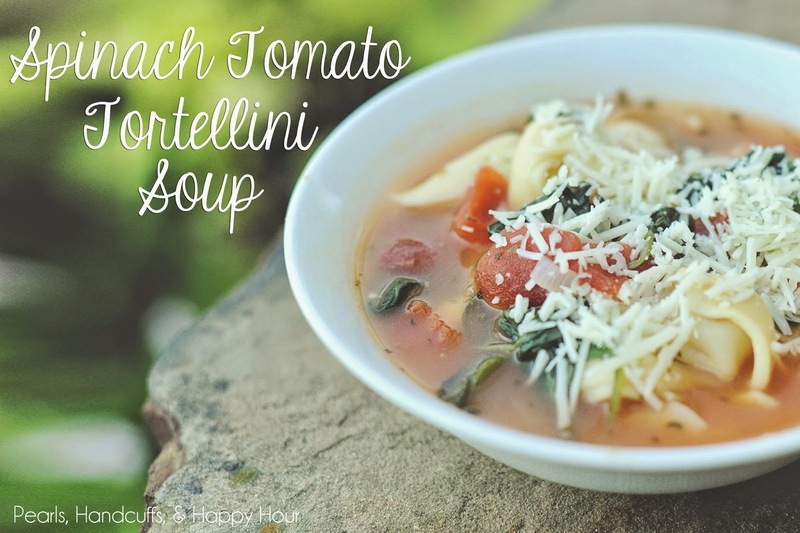 Bring the mixture to a boil, reduce heat, and continue to simmer until the tortellini is cooked through. Add the baby spinach and cook until it's wilted. Ladle yourself a serving and top it all off with a little bit of freshly shredded parmesan.